Have you been thinking about joining ALBC's conservation efforts by getting some of your own rare breeds? 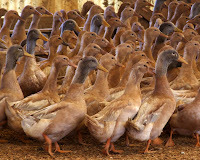 Perhaps you already have animals but are considering adding a new breed or species to your farm or ranch. The idea seems simple enough. Take a look in the Rare Breeds, Breeders and Products Directory, find someone with animals, call them up or email to arrange the purchase, then pick up or have your animals delivered, right? Although this is the general process that many people follow when choosing new animals, there are other important things to consider as well. ALBC has defined five criteria to consider before purchasing new animals for both first-timers and experienced farmers alike. These criteria include: considering your long range plan, your farm context, your resources, your market, and deciding on an appropriate species/breed. When choosing an appropriate animal, it is important to take all of these items into consideration. Much thought should be given to climate, as this is something you cannot change unless you decide to move. Some breeds are adapted to certain climates and may not be able to thrive in others. Infrastructure also ties in to weather-related considerations. Weather extremes often prompt the need for facilities like barns, sheds, or available water supply which can be crucial for successfully raising animals. Another factor that needs to be addressed is the financial feasibility of owning particular animals. Although your animals will need to eat, you still need to eat too, so make sure you have the resources available to take on a new line item in your budget. If animals are going to be bought and sold, comprehensive market research can be greatly beneficial in identifying if there will be a demand for them in your area. You can also identify customer demographics and develop an effective marketing plan to promote your products. Additionally, make sure you have time to devote to raising your animals. We all have commitments in our lives, but when acquiring new stock, we also acquire the responsibility of caring for them. Each species and breed has certain requirements that may be different from what we are used to or have experience with. By doing your homework and thoughtfully evaluating which animals will work best for you, you can ensure that both you and your heritage breeds will live happy, healthy, and productive lives while simultaneously contributing to rare breed conservation. Visit ALBC's Getting Started With Rare Breeds page for a complete overview of the five criteria mentioned in this article and for a species-by-species comparison of the animals ALBC works with. Click Here to visit the page now! 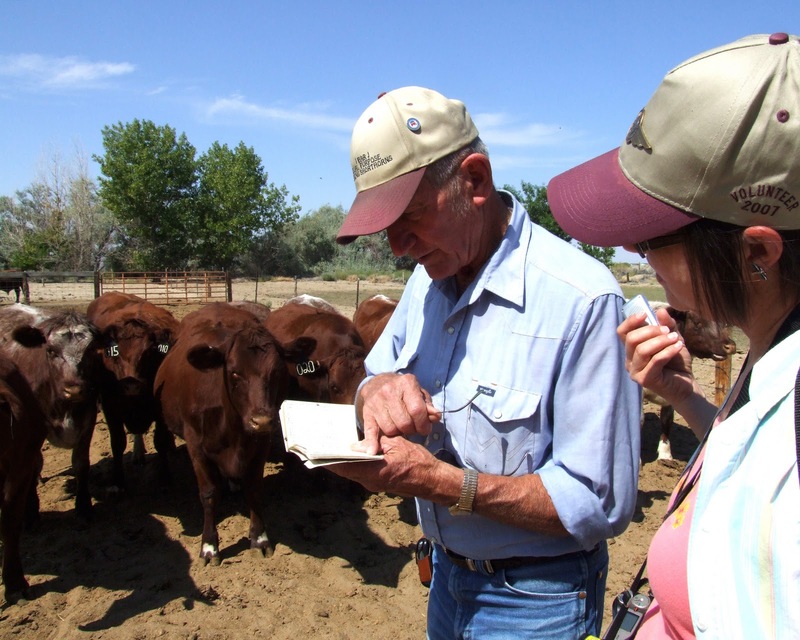 The goal of ALBC’s Conservation Programs is to establish and maintain premier, science-based processes, practices, data systems, and action models that create a thriving environment for the conservation of endangered breeds of livestock and poultry. For our thirty-fifth anniversary year, ALBC is seeking funding for several projects that will actively serve conservation. These projects are diversified, meaning they encompass elements from each of the three phases of successful conservation: Discover, Secure, Sustain. Through a variety of efforts to rediscover lost breeds, to secure existing breeds, and to plan for the long-term viability and sustenance of identified breeds, ALBC’s programs will help rare breed stewards around the country to achieve conservation success. 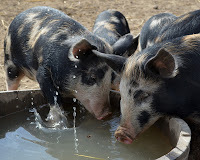 The goal of this project is to ultimately make Heritage Pork production an economically viable enterprise for small and mid-scale farmers, to increase endangered breed swine populations so that they are numerically and genetically secure, and to develop models for pastured, heritage swine production that can be applied nationally. 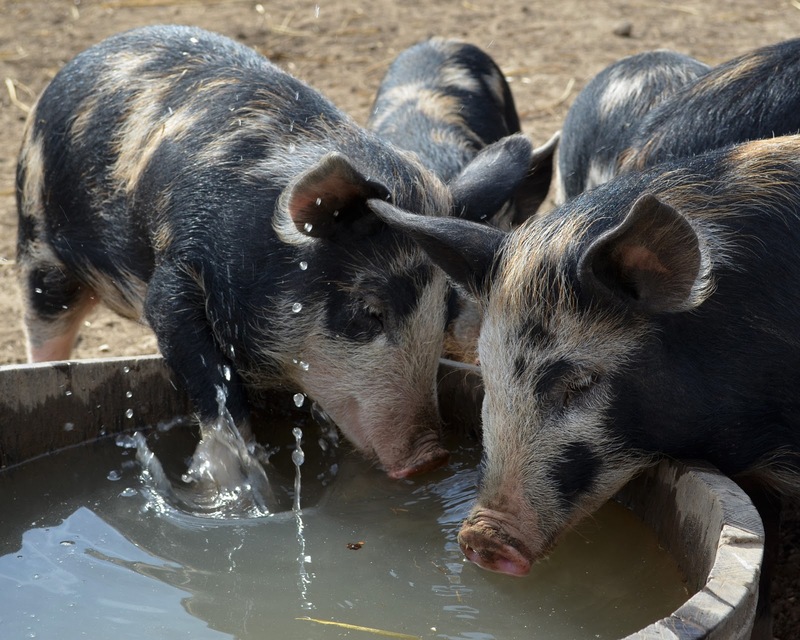 ALBC has received funding from the USDA to complete bloodline identification, breeding strategies, and carcass evaluations for the heritage hog breeds identified on the ALBC Conservation Priority List; however, additional funding is being sought to fully implement the project. Full implementation of the program would include the addition of nutritional analysis of heritage breed hogs, development of workshops to present findings to producers, creation of cooperative marketing materials, and support for breed associations. The goal of the census project is to engage in a ten-year population census to provide a snapshot of conservation and to help determine conservation priorities for the U.S agricultural system. This census will include both rare and non-rare breeds in order to gather an overall picture of the diversity of livestock breeds in the United States. ALBC is also investigating technologies that would allow for the systematic collection of census information on a yearly basis. This program is based on the fundamental premise that the existence and continuity of “old-time” (Master) breeders’ knowledge is critical to conservation. There is an emerging group of interested and capable future stewards who would benefit by having access to the knowledge and experience of current Master Breeders to ensure continued conservation. This project includes in-the-field interviews with recognized Master Breeders, documentation of their methods, and publication of the findings. This program also includes the development of breed profiles, which provide concise information about individual breeds, and workshops to disseminate the information gleaned through the Master Breeder interviews. 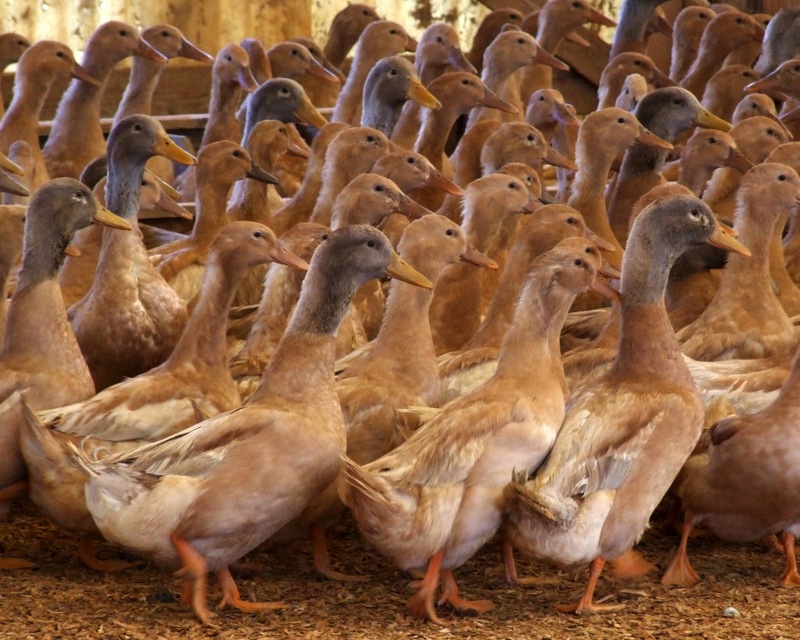 ALBC has already published materials obtained from Master Breeders of chickens and turkeys, and is nearly finished with the same for waterfowl. Investigative research for swine, cattle, and rabbits is well underway. In 2012, ALBC hopes to expand this program to focus on returning veterans and their role in modern farming. In the past few years, the number of veterans contacting ALBC has increased dramatically. ALBC is currently exploring options for including veterans as a potential next generation of viable rare breed stewards. Working with partners like the Farmer-Veteran Coalition, ALBC hopes to utilize the skills, talents, and interests of veterans to perpetuate its Master Breeder Project. One of ALBC’s most successful projects was the 5-year Buckeye Chicken Recovery Project. This project helped significantly increase the number of Buckeye chickens, moving them from critically endangered to the threatened list. Last year, ALBC began an extension of this project using the Java chicken. 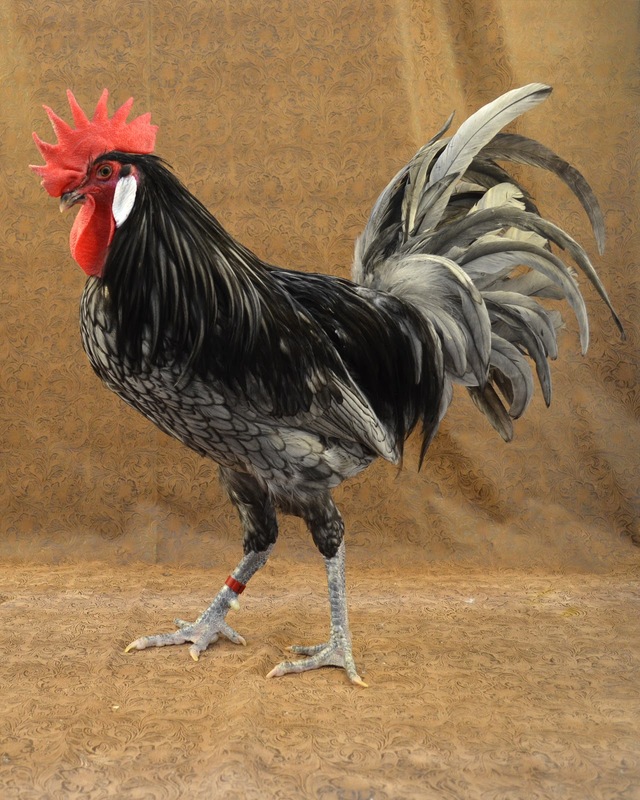 Through careful selection and breeding, ALBC is working with a pilot group of breeders to bring back the production characteristics of the Java chicken. Each year, the project expands and new breeders are added. ALBC is also working with breeders and producers to develop economic models for successfully raising and marketing heritage chicken breeds. ALBC is currently working with university researchers who want to do DNA collection and analysis of these flocks. According to ALBC’s Technical Advisor, world-renowned conservationist, and professor Dr. Phillip Sponenberg, the window for rediscovering old breeds and strains is closing. With the loss of old-time breeders and the continuing threat of urban sprawl, these breeds may disappear forever. It was only two years ago that ALBC discovered an old strain of Spanish goats on an island in South Carolina. This is just one example of the many populations that may exist. Because this work is timely, and because the window is closing, ALBC is seeking funding to pursue active investigations of breeds in several “hot spots” around the country. In 2012, ALBC staff will identify these hot spots, begin networking with members and breeders in these areas, and develop a plan for documenting these breeds. The demand for ALBC’s knowledge and services is growing exponentially. 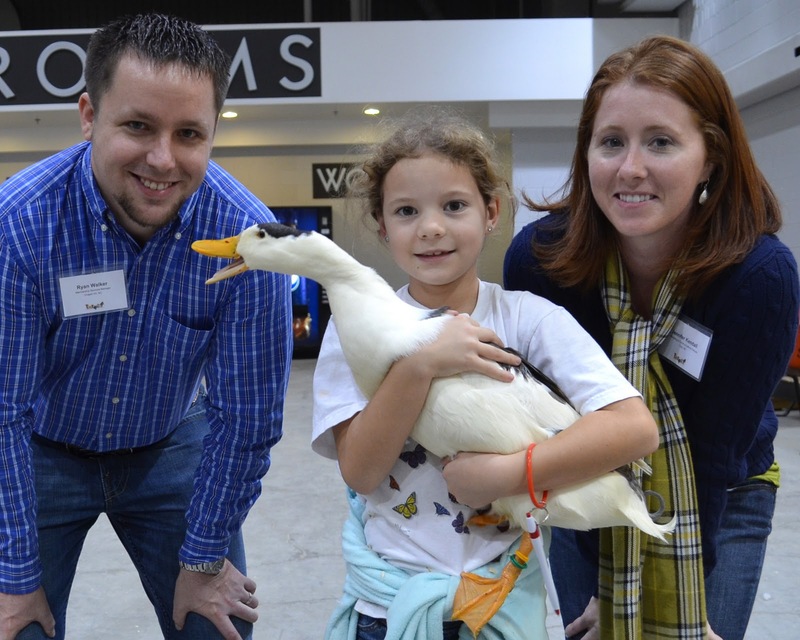 The Heritage Breed Outreach Initiative will bring ALBC’s expertise and services to those people around the country who are eager to hear about heritage breeds. 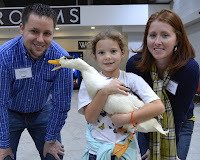 In 2012, this initiative will take ALBC’s technical programs staff to a variety of national conferences where they do presentations on rare breeds. This program will also include ALBC-sponsored workshops and lectures across the country. The significant costs of this program include travel, workshop development, and material production.